February 26. 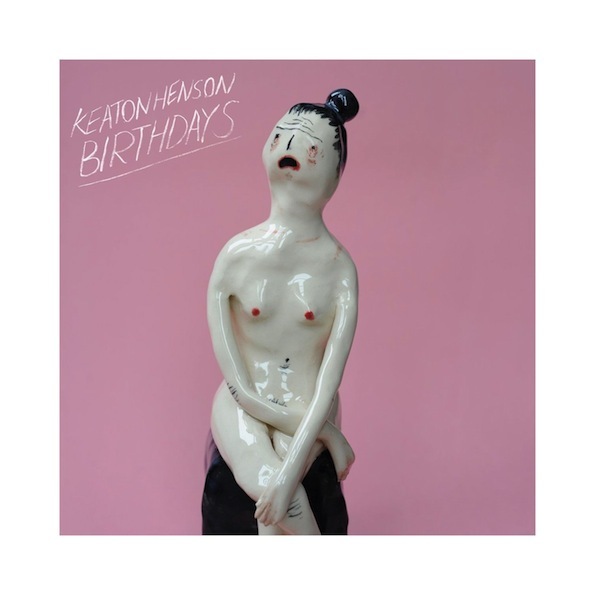 2013 | By Valerie C.
A painfully shy, anxiety filled artist in every sense (dabbling in poetry, art, and music), Keaton Henson had to leave his beloved cocoon during the creation of Birthdays, his second LP. Relocating to Los Angeles, at least for a short time to collaborate with producer Joe Chiccarelli (The White Stripes, The Shins) also resulted in collaborations with artists from bands such as The Raveonettes, Band of Horses and others. No doubt these collaborations push Henson a little bit more outside the box. Even rocking out on tracks like “Kronos” and “Don’t Swim.” And the added vocals gives depth to songs like “Beekeeper,” a tasty folk-rock number. His pain is almost palpable as he croons “And don’t call me lover/it’s not enough/it’s got to be though/cynical stuff/follow my words to the end of our love,” on “Sweetheart, What Have You Done To Us.” Birthdays feels like stumbling onto someone’s diary. A treasured and/or improper look into an individual’s pain, struggles, and hopes. Poetic words beautifully strung together with music, at times fragile, with occasional bursts of certitude. Very much like the man who baked the cake for this celebration.